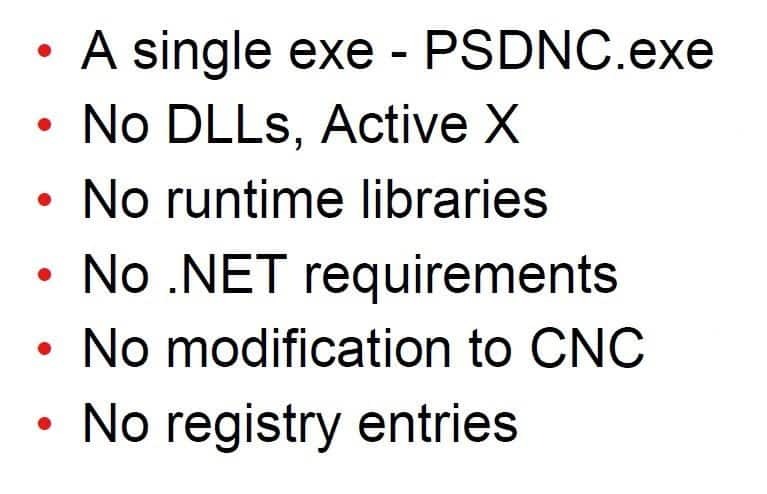 This Windows-based Predator application helps make secure program transfers an easier and safer process across many Windows-based CNC controllers. The application is a headless Windows product designed to be installed on any equipment on the shop floor. The product uses a standard TCP/IP protocol and included with Predator DNC and DNC Enterprise. Think about all the network-based CNCs in your shop, are they secure and protected? Use CNC file transfer software with a specific security feature in mind! Many shops have older CNCs that still run legacy operating systems but can’t afford to upgrade the controller or the machine tool builder does not provide an upgrade path to the latest operating system. Or the IT Department is not sure how to integrate the latest CNC to the network without security risks. Be sure to contact us, if you have any questions on the compatibility with your equipment.